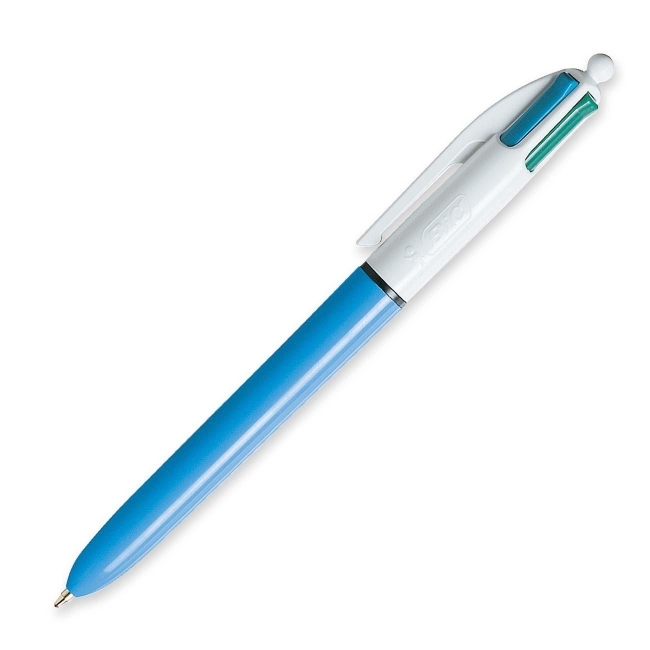 Retractable ballpoint pen offers the convenience of four colors of ink in one refillable pen. Ideal for recording data in different colors. Pen writes in four colors without changing pens. At the click of a color-coded button, you select the color ink you want: blue, black, red or green. Refillable.